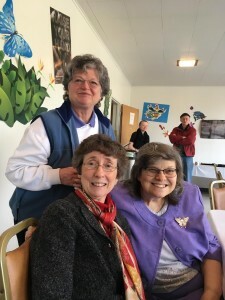 Shoreline United Methodist Church – You are welcome here! Our two fellowships come together for special services and social events. We invite you to visit us Sunday to experience our church family. Shoreline Church is a United Methodist Church. United Methodists are followers of Jesus Christ. United Methodists believe that our knowledge of God comes from Scripture, from Christian tradition, from reason, and from our personal experience of God. Reason is one of God’s gifts and is not in opposition to faith. Rather, reason is essential to our understanding of Scripture, of the world we live in, and of the relationship between the two. United Methodists are a diverse community. All persons are welcome in the United Methodist Church. We are firmly committed to inclusiveness. We celebrate a diversity of people, ideas and cultures, and are enriched by our broad history. United Methodists are mission-oriented and socially conscious. United Methodists have a long history of concern for social justice. We are aware of world events and strive to help those in need. United Methodists are one in faith and tradition with Methodist Christians around the world. United Methodists are involved. For more than 200 years, the United Methodist Church has expressed concern for the worker, the sick, the poor, the orphaned, the aging, the impaired, the oppressed and the imprisoned. United Methodists positively influence society through responsible social action.